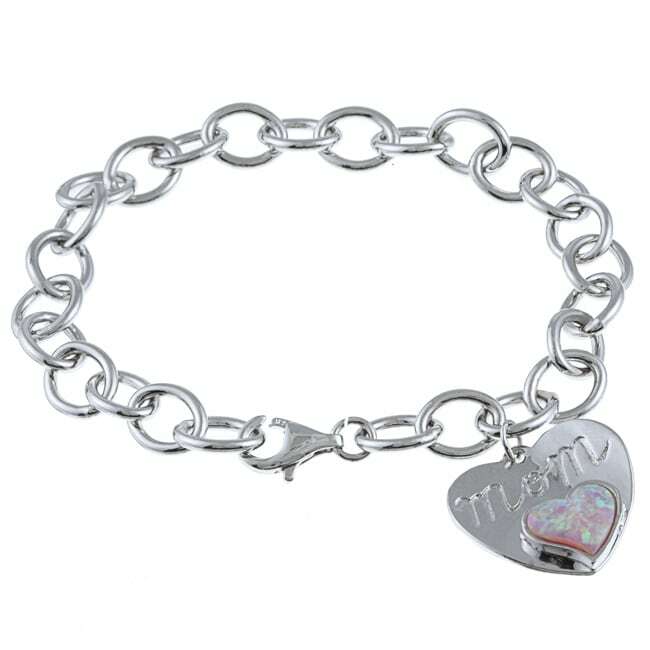 This pretty charm bracelet features the word 'Mom' accentuated by a single shimmering heart-cut created opal gemstone. The oval link bracelet is crafted of sterling silver and secures with a lobster claw clasp. I have a question about this charm on the bracelet. Is it also available with the word grandma on it with the opal gem? 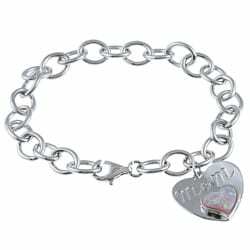 I am starting a charm bracelet with each child and grandchild having a heart, but I like the charm on the bracelet that says mom, but since I am a grandmother I would like one that says grandma. The links don't look quite as feminine as they do on the photo but I still would not return it. The size is nice, the "Mom" charm is cute, and the silver has a good shine to it.